The Power RockStar 6600 combines magnetized cable storage with a powerful 6600 mAh battery to make it even easier to stay charged on the go. Holding your specially designed Lightningâ„¢ or Micro-USB cable securely in transit, the Power RockStar means you'll never be without a cable to charge your device. With 3.4 Amps to optimally charge two smartphones simultaneously via two USB ports, or one tablet at top speed, your back up power just got an upgrade. With two USB ports, you can share the Power RockStar 3.4 Amps between two different devices for simultaneous charging. 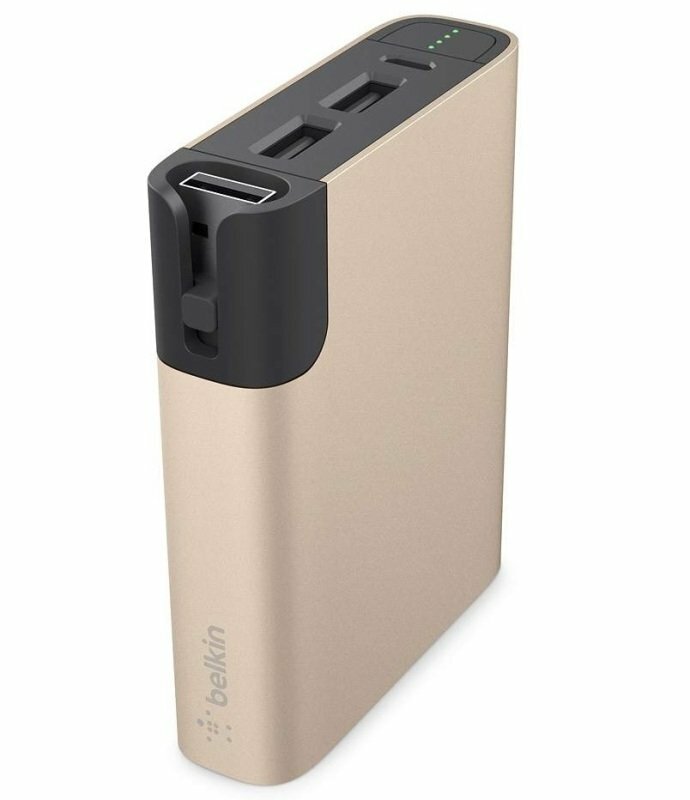 It's ideal for those who carry multiple USB devices, or to lend a quick battery boost to a friend. 6600mAh of power means enough juice to recharge your smartphone three times over without refueling the Power RockStar. When it does need a boost, simply connect it to a power source via the Micro-USB cable provided. The Power RockStar 6600 is never without its trusty cable. The neat magnetized slot holds the 3.9" Lightning or Micro-USB cable securely, so when you need to recharge, the RockStar has literally everything you need. The Power RockStar 6600 is protected by a Belkin Connected Equipment Warranty. If your device is damaged by an electrical charge while properly connected to the charger, Belkin will repair or replace it up to a value of £1,500.